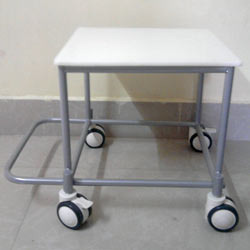 Prominent & Leading Manufacturer and Supplier from Chennai, we offer Commode Wheelchair such as Stainless Steel Commode Wheelchairs, Stainless Steel Commode Wheelchair and Bathroom Wheelchairs. We are one of the leading manufacturers of Commode Wheelchair in Chennai, Hyderabad,Banglore and Kerala. 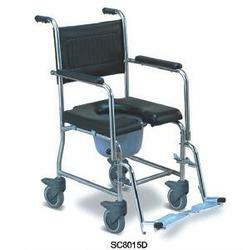 Offered by us are high quality Commode Wheelchair to the esteemed customers at highly competitive prices. 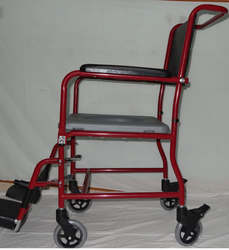 These commode wheelchairs are manufactured in compliance with the international quality standards. In addition to this, these wheelchairs are designed as per the details provided by the clients to attain their maximum level of satisfaction. It can be used for toilet purpose of senior citizens and physically challenged people. We are one of the leading manufacturers of Commode wheelchair manufacturers in Chennai, Hyderabad, Bangalore and Kerala. 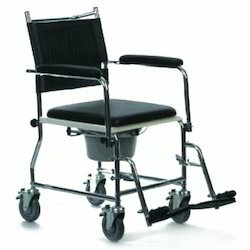 Offered by us are high quality Commode Wheelchair to the esteemed customers at highly competitive prices. These commode wheelchairs are manufactured in compliance with the international quality standards. In addition to this, these wheelchairs are designed as per the details provided by the clients to attain their maximum level of satisfaction. It can be used for toilet purpose of senior citizens and physically challenged people. We are one of the leading manufacturers of Stainless Steel Commode Wheelchairs in Chennai, Hyderabad,Banglore and Kerala. We are instrumental in offering genuine quality Stainless Steel Commode Wheelchairs to the esteemed customers for toilet purposes. These wheelchairs are manufactured in compliance with the international quality standards, by our team of highly talented experts. In addition to this, we check these wheelchairs on certain well-defined standards prior to their dispatch to the clients’ end. We are one of the leading manufacturers of Stainless Steel Commode Wheelchair in Chennai, Hyderabad,Banglore and Kerala. 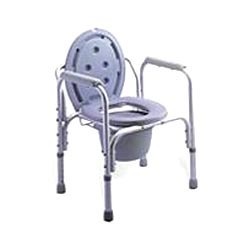 We are engaged in offering genuine quality Stainless Steel Commode Wheelchair to the esteemed customers. High-grade raw material is procured from some of the most trusted vendors of the industry for manufacturing these Stainless Steel Commode Wheelchair . Besides, we ensure timely delivery of the Bathroom Wheelchairs at the client's end with the support of our wide distribution network. We are one of the leading manufacturers of Bathroom Wheelchairs in Chennai, Hyderabad, Bangalore and Kerala. We are engaged in offering genuine quality Bathroom Wheelchairs to the esteemed customers. High-grade raw material is procured from some of the most trusted vendors of the industry for manufacturing these Bathroom Wheelchairs. Besides, we ensure timely delivery of the Bathroom Wheelchairs at the client's end with the support of our wide distribution network. Looking for Commode Wheelchair ?